So good to be back to blogging and sharing recipes with you all after quite a long while, with this refreshing, wholesome and also gluten – free Black eyed Beans Salad, a recent hit in our home. Making the smoked eggplant puree for the Ali Nazik Kebab at my Turkish cookery class in Austin. 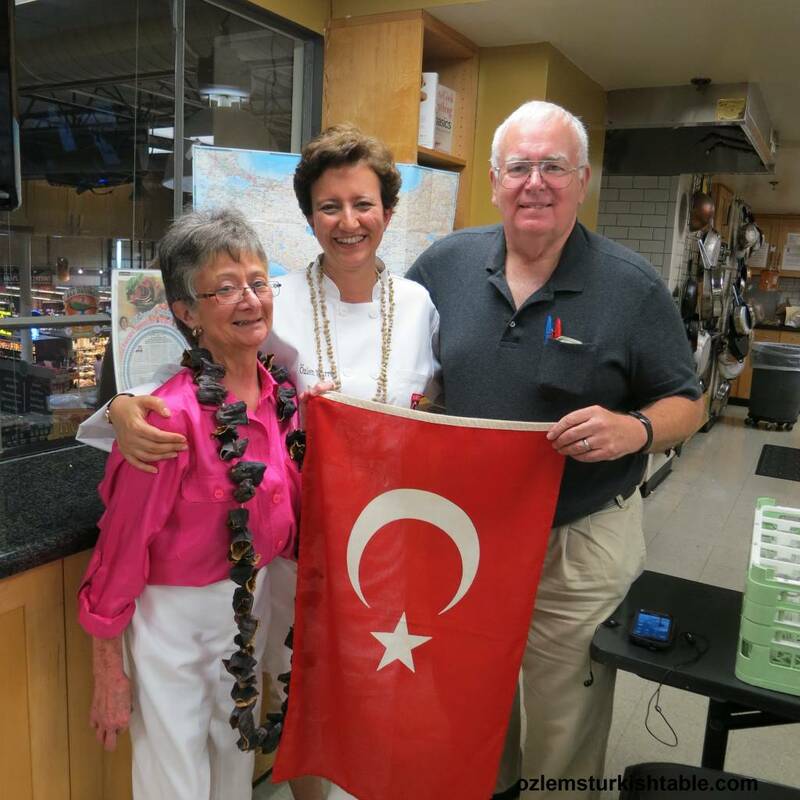 Another highlight of February was teaching a wonderful series of Turkish cookery classes in the US with the Central Market Cooking Schools in Austin, San Antonio and Houston. I was really touched and delighted to see the growing interest for Turkish cuisine and meet amazing Turkish food lovers, always a treat. 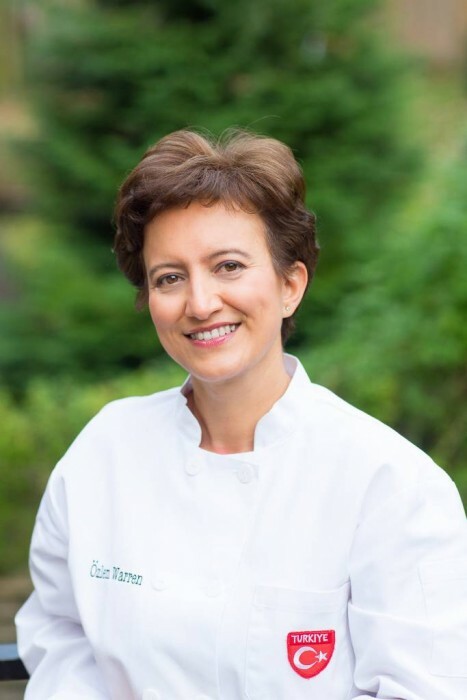 My next stop is Amman, Jordan in March to teach a 5 day Turkish cookery workshop and a Turkish cookery class in May in England – greatly look forward to them all. But now I am delighted to share this delicious, refreshing and wholesome salad we’ve been enjoying recently, featuring black eyed beans or borulce, as in Turkish. The black-eyed pea or black-eyed bean, or borulce is a legume, a subspecies of the cowpea. They are also known as the California Blackeye. 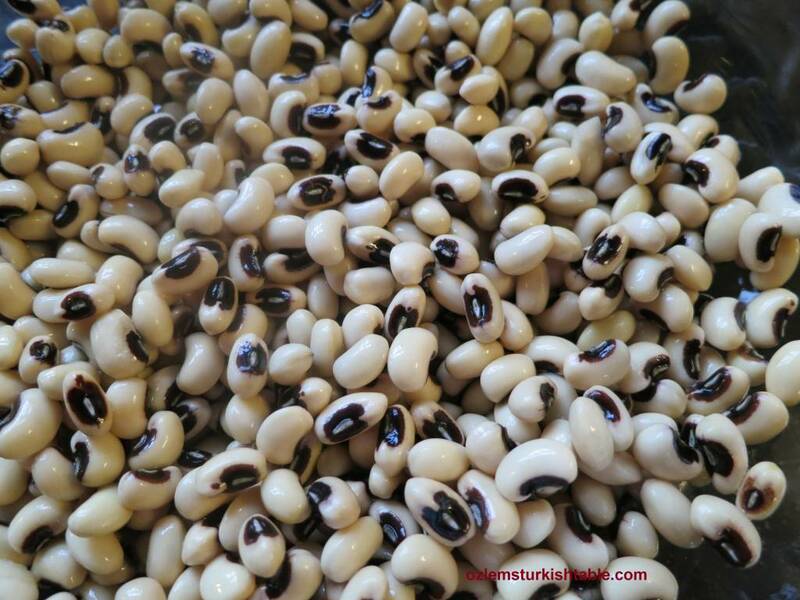 They also have many health benefits; black eye beans are packed with fiber, protein, potassium and low in fat. Many good reasons to incorporate them in our diet. 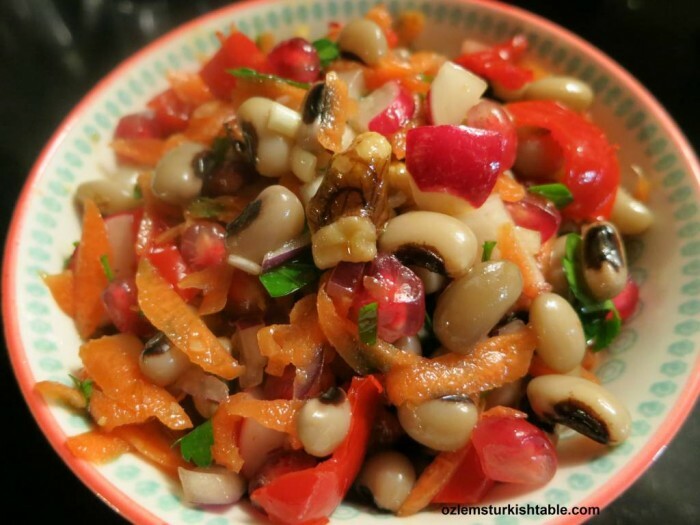 This black eyed beans salad is a wholesome, refreshing and vibrant salad with plenty of zing. Grated carrots and bell peppers bring wonderful natural sweetness and work well with radishes, onions and crunchy walnuts. I love the tangy pomegranates molasses & olive oil in the dressing (you can make your own pomegranate molasses with my recipe here); all these flavor the black eyed beans beautifully. 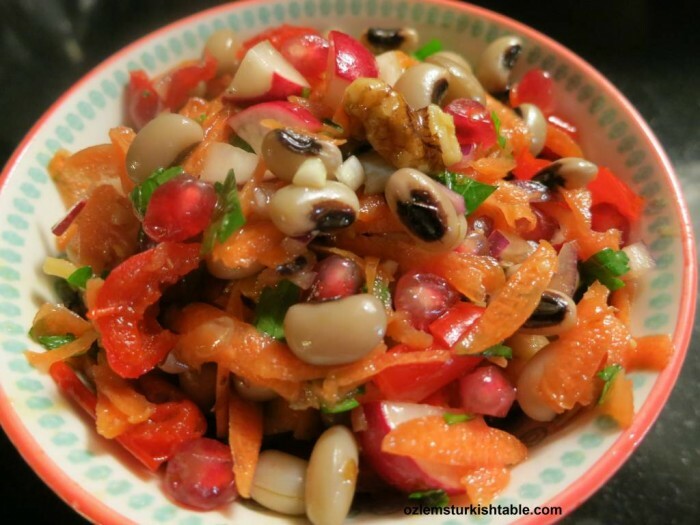 You can also add pomegranate seeds as I did in this salad; they add a great texture and taste. 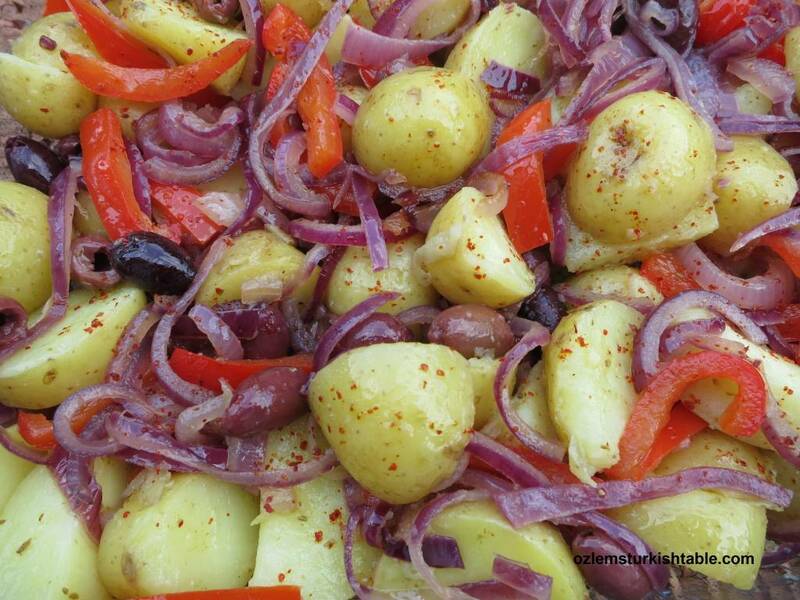 This black eyed beans salad, Borulce Salatasi, is a wholesome, refreshing and vibrant salad with plenty of zing. Grated carrots and bell peppers bring wonderful natural sweetness and work well with radishes, onions and crunchy walnuts. Pomegranate seeds and pomegranate molasses bring a tangy, refreshing flavor. Soak the dried black eyed beans overnight in plenty of cold water. Next day, drain, rinse and put the beans into a pan and cover with water. Bring to the boil and simmer for 35 - 40 minutes. Drain and rinse the cooked beans in cold water to refresh and retain their texture. Stir in the chopped onions and green (spring) onions in a large bowl and add ½ tsp sea salt. 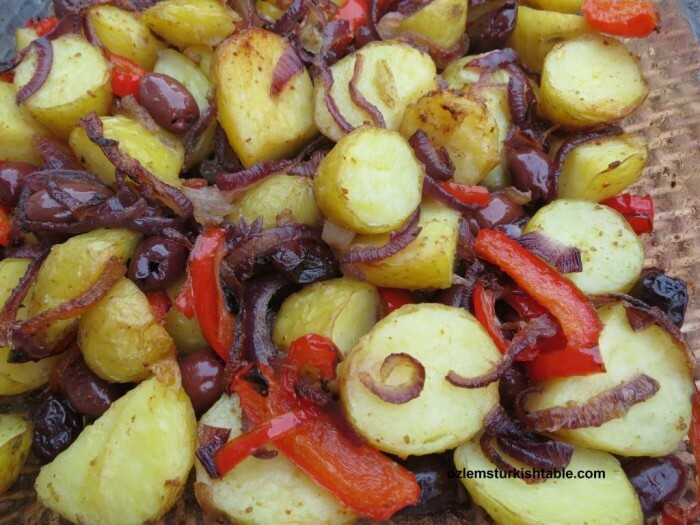 Work the salt into the onions with your hands; this will soften the onions and make them more palatable in the salad. Stir in the rest of chopped vegetables to the bowl and mix well. Add the cooked black eyed beans, pomegranate seeds and chopped walnuts to the bowl, combine well. Pour in the extra virgin olive oil, lemon juice and pomegranate molasses over the salad, give a good mix. Check the seasoning and add more salt if required and season with freshly ground black pepper. Stir in the chopped parsley and combine all gently. Afiyet Olsun! 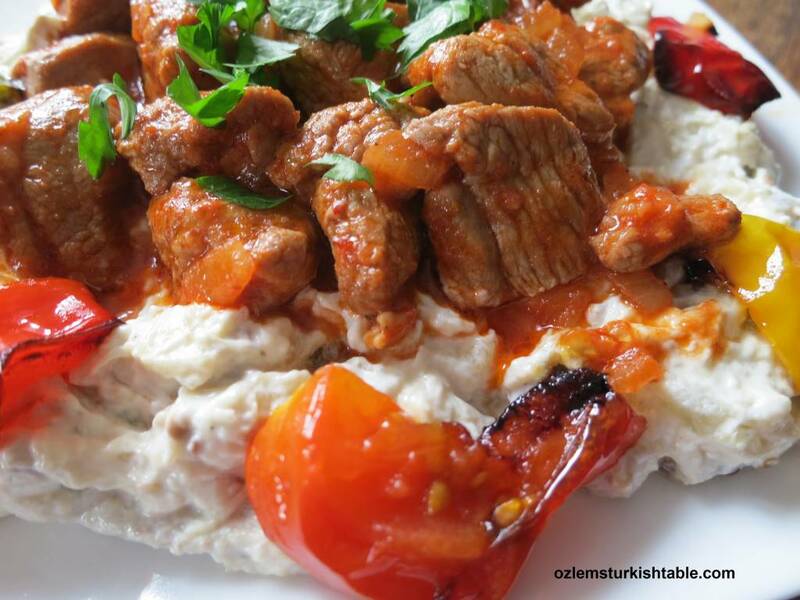 My Turkish Cookery Classes in Feb,Texas-USA Open For Signing Up! Greetings and Happy New Year to you all! 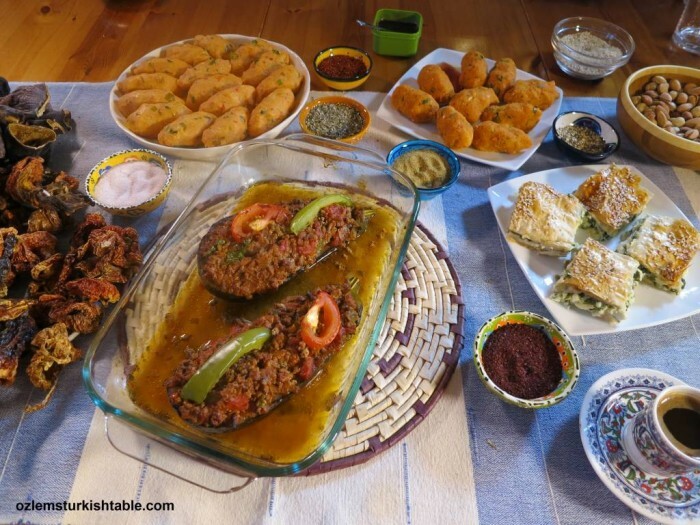 I am delighted to let you know that my upcoming Turkish Cookery Classes with Central Market Cooking Schools in Austin, San Antonio and Houston, Texas in February 2015 are now open for registration! Below are the links for signing up for each class; they tend to sell out quickly so if you would like to join us, please kindly book your spot. I am greatly looking forward to returning to Central Market Cooking Schools and hopefully see you there. Central Market Cooking School also offers discounts for signing up until 7th January, if you’d like to take up this good offer. Signing up for the classes started through Central Market Cooking School website, as of 1st January 2015 – please save the dates and I hope you can join us! My very best wishes to you all for the New Year, in good health, good food and company. I look forward to sharing many more Turkish recipes here and as always, would be delighted to have your company to enjoy.